Make your Holiday To Do list and check it twice! 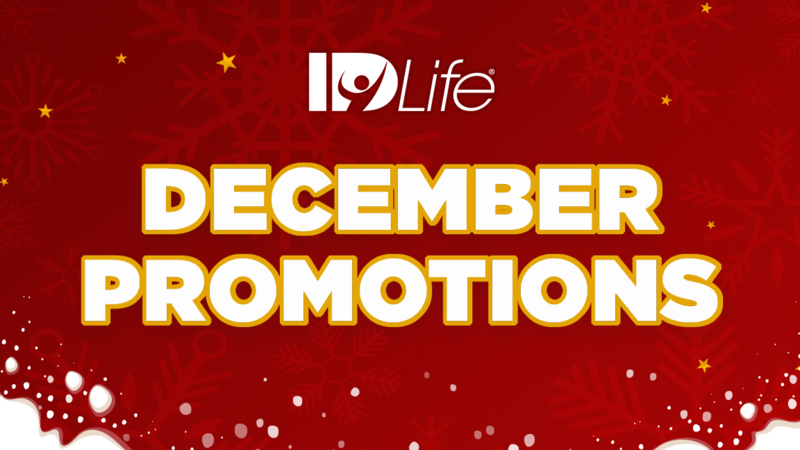 ⚬ Purchase your IDLife promotional packs! We are happy to bring back our special promotional packs as a December holiday promotion. All three special promotions will expire at 11:59 PM PST on December 28th, 2018. 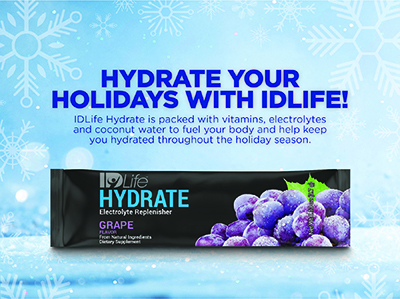 You will receive 5 trial cards with one IDLife Hydrate stick in Grape flavor attached to each one. IDLife Hydrate delivers a carefully researched blend of vital electrolytes, antioxidants, MCT’s, vitamins and minerals to protect the body from the harmful effects of dehydration. 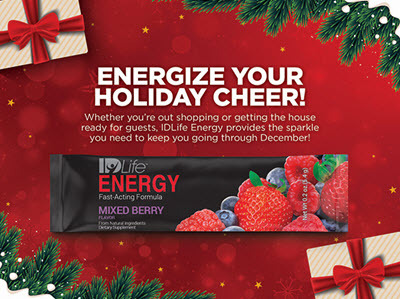 You will receive 5 trial cards with one IDLife Energy stick in Berry flavor attached to each one. IDLife Energy is a 20 calorie nutritional supplement that provides up to 6 hours of sustained energy without the jitters, over-stimulation, or crash experienced with other energy products. 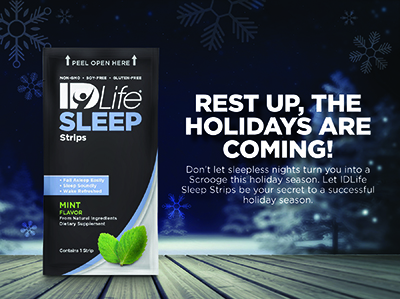 You will receive 5 trial cards with one IDLife Sleep Strip attached to each one. The fresh-tasting mint-flavored strips melt in your mouth and deliver a complex of nutrients, including melatonin, L-Theanine and 5HTP, in a tri-phasic approach that supports all three phases of the sleep cycle. You’ll wake up refreshed, relaxed and rejuvenated, but won’t have the lingering after-effect.